When the action RPG Fable was released for the original Xbox it was well received by gamers and we were looking forward to what the game will be on the Xbox 360. Here you get to play as a male or female hero and it takes place in Albion 500 years after Fable. All of the stuff that made Fable, Fable is still here. You can still be good or bad and the character morphing of how you look depending on your choices had been upgraded. You start to look scary the more bad choices you make and look more heroic the more good choices you make. We just wish the game added some more content. 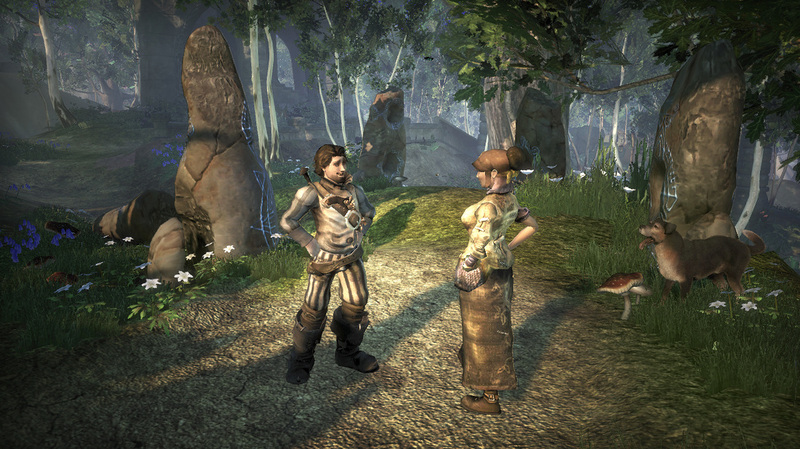 There are several new features to Fable II that really adds to the experience. The big change is the introduction of medieval and colonial style guns like flint lock pistols. You can still decide to use crossbows and arrows it depends on the weapons strengths and weaknesses. There are jobs now in the game. Early on you need money. Now you could start attacking and robbing people or you can get a job loser. We spent the first three hours just working and making money. It sounds boring but we were able to buy strong weapons early in the game making battles easier. With the stronger weapons we were able to take on quest’s that were harder and made more money to buy business and property very soon to rent out. So for the rest of the game money was not an issue, making it easier to focus on the story and side missions and boss battles. Our favorite new edition to the game was the dog. You get to have a dog follows you throughout the entire game. He or she will help you in battle, find treasure chests and dig up secret stuff. It was one of the things that make Fable II great. You get to teach the dog tricks and upgrade the treasure hunting skills of the dog and return to previous locations to see what he can find. We also like the direction of the story and the new characters that help you along the way. Seeing Theresa storyline continue does add a direction to the game. She is still trying to end the evil that keeps showing up in Albion. Mostly we did like this game but it did fall a little short of what we were looking for. We kept getting glitches from the frame rate slowing down to some camera angles that were useless. The hidden silver keys to open treasure chests are in the game but most of the treasures are alright but many items are not worth the effort. They did add some over the shoulder aiming and shooting to the game but the controls are a little messed up. Lining up a shot takes too long and is even harder if the target is moving. 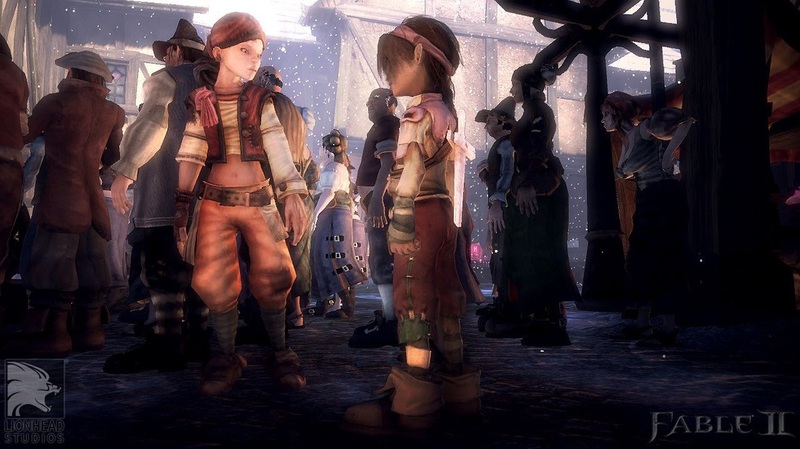 We love, love, love Fable it made some of us buy an Xbox just to play the game. 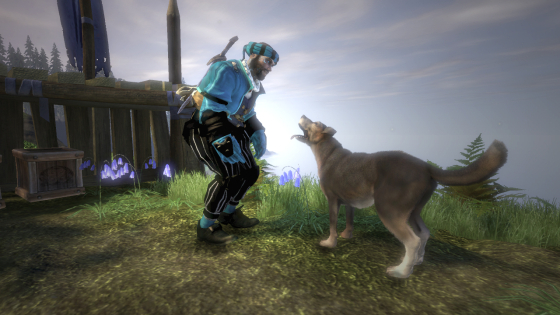 Hands down Fable is better than Fable 2 but Fable 2 is still great and worth buying and playing. The game took us 25 hours to beat and that is including most of the side missions. 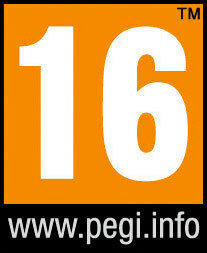 That is a little short for a RPG. The game is worth a buy under $35.00. 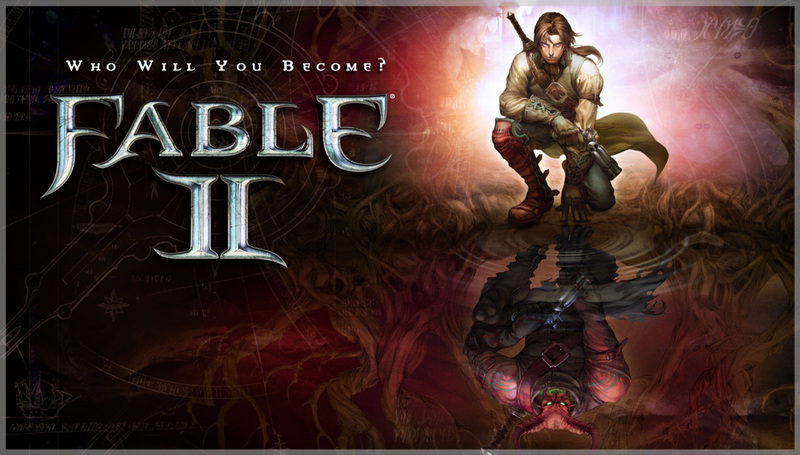 Lionhead Studios got our expectations up for this game that is why we felt like Fable II could have been more.